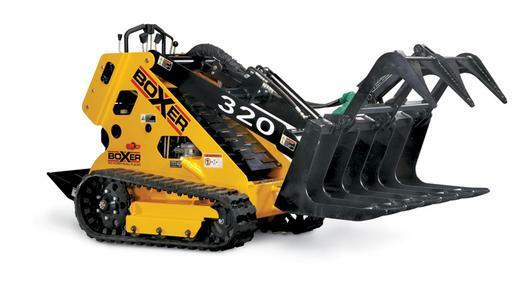 The Boxer 320 is a great little unit that provides the highest level of traction, comfort and visibility available from any type of mini digger machine. It uses familiar skid-steer style controls on heavy-duty rubber tracks. Its accurate and nimble traction creates minimal surface scarring unlike other machine types, while it’s stand-on platform makes it easy and comfortable to manoeuvre. Perfect for tight spaces, the machine is only 900mm in width and has a length of only 2210mm (including the bucket).